Rush the Court will be providing wall-to-wall coverage of each of the NCAA Tournament from each of the 13 sites this year. Follow our NCAA Tourney specific Twitter accounts at @RTCeastregion, @RTCMWregion,@RTCsouthregion and @RTCwestregion. Kenny Ocker is an RTC columnist and correspondent. He is covering the Spokane pods of the East and West regionals this week. Any Michigan State starter *can* dominate — it just doesn’t mean they will. On Thursday night, Adreian Payne hung up 41 points. Tonight, Branden Dawson had 20 points and six rebounds in the first half. Dawson only had six in the second half, though, when his team’s offense started to completely fall apart. A consistent 40-minute performance was missing in this round of 32 game from everybody in green and white. Will that catch up with the Spartans as the competition toughens? The Spartans let a talented team back into the game. Giving up a 17-2 run to a lower seed never, ever bodes well for what’s to come, especially when that run lets said team come back and take the lead for the first time. It took a pair of quick whistles in the final minute for Michigan State to finally get the game in the bag here tonight. What was a good defensive performance was undone by lethargy. If I’m the next team that draws the Spartans, I’m not as concerned as I would have been before this weekend. As talented as they are, this team is still rather inconsistent. 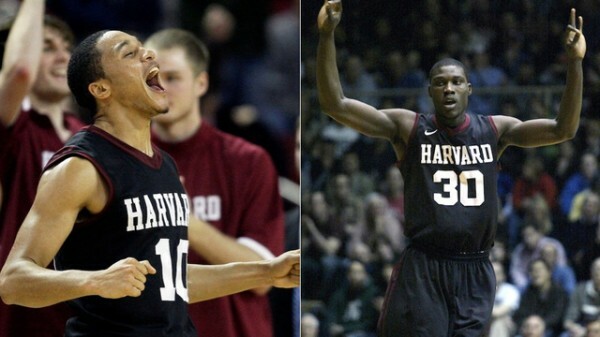 Harvard will likely never have a collection of this much talent again. 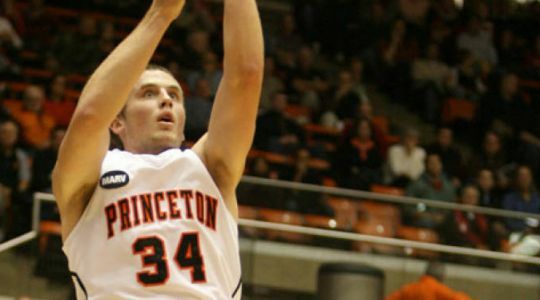 Losing Laurent Rivard, Kyle Casey and Brandyn Curry would be tough for any program to handle, much less one from the Ivy League. And that doesn’t include the possibility of forward Wesley Saunders leaving early for the NBA or coach Tommy Amaker taking a big-time college job again (especially the one that’s open just across town at Boston College). Crimson fans should enjoy the pair of NCAA Tournament wins they picked up in the past two years, because you never know when a run like this is bound to come to an end. Star of the Game: Michigan State’s Gary Harris – 18 points, five assists and one clutch three-pointer when Harvard seemed to have clawed its way back into the game. 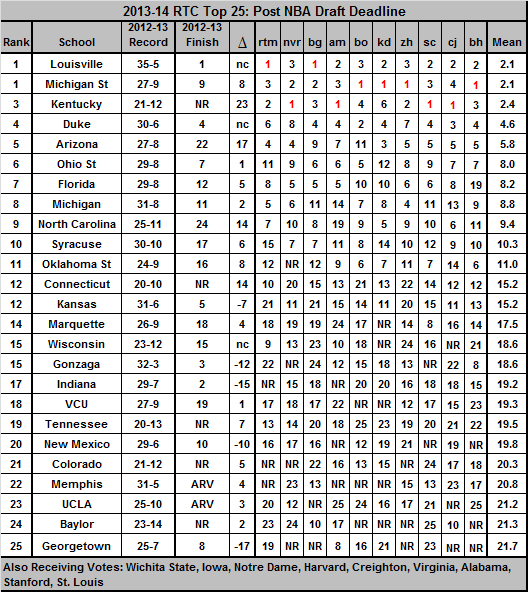 The first ticket to the NCAA Tournament was punched in New Haven on Friday night, and as each of the 31 automatic qualifiers plays their way into the Dance over the next week, we’ll take some time to give you an analytic snapshot of each team that you can refer back to when you’re picking your brackets next weekend. We will start off this Morning Five by talking about football or more specifically the lack of football for the rest of the college football season. We won’t try to claim that we don’t enjoy football from time to time although we still don’t quite understand America’s obsession with it. Anyways now that football season is officially over we hope the media can shift its focus to basketball as quickly as possible. So if you have friends who are huge football fans and only care about college basketball for the NCAA Tournament try to get them in on some conference basketball because they will quickly learn their is more to college basketball than the NCAA Tournament. One of the subtle changes that will be occurring with conference realignment is the potential movement of conference tournaments from their familiar locations to more functional ones given the new geography of various conferences. In our eyes the two biggest sites are Madison Square Garden and Greensboro Coliseum. Given the disintegration of the Big East it would appear that Madison Square Garden should be opening up and it appears that the ACC is interested in moving the ACC Tournament to the New York City area. It could be a while before that happens as the deadline for bids for the 2016-21 ACC Tournaments already passed with the current bids coming from Atlanta, Charlotte, Greensboro, Tampa, and Washington D.C. Of course, the powers that be could decide to reopen the bidding if they really wanted to get to New York City so it is something to keep an eye on in the future. 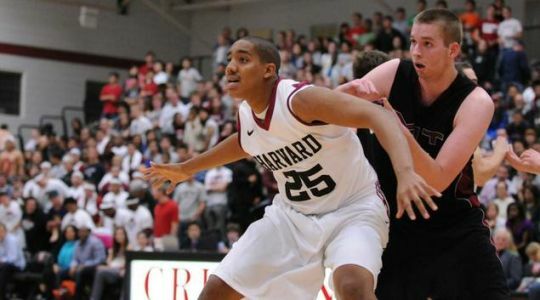 Over the years we have heard a lot of questionable thing about the various basketball academies, but those criticisms are usually focused on lackluster or non-existent academics. In the case of CCSE Preparatory Academy in Roseville, California the allegations are much more concerning as at least four students are alleging that they were subjected to corporal punishment by the school’s president Francis Ngissah, who was arrested and released on $100,000 bail. The students, who pay $10,000 per year for tuition and another $5,000 per year for boarding, but as the link notes there are several questionable aspects about the school not the least of which is its 24 year-old president, who claims he graduated from Harvard, but Harvard couldn’t verify his attendance which the school’s spokesman explains by saying that Ngissah attended Harvard under another name, but refuses to release that name. At this point all we can say is that we continue to question whether the supposed need for these training academies is worth all of the shady activity at them given how lightly regulated they are. 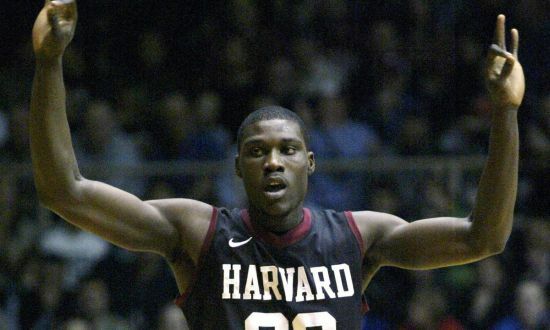 Speaking of students who actually attended Harvard the scandal the rocked the school and took away any chance of its basketball team being a player on the national stage this season appears to be winding down. According to the school, more than half of the approximately 125 students (approximately 1% of the total undegraduate student body) were required to withdraw from the school for an unspecified period of time. Approximately another quarter received disciplinary probation while the other students did not receive any further punishment. We have not heard which group Kyle Casey and Brandyn Curry fell into, but would assume that the punishment would not extend beyond this academic year so t hey should probably be able to return to the team next season. While the Manti Te’o circus may have opened up the public’s eyes to the world of catfishing it appears that some programs were aware of it and tried to teach its players how to avoid it. According to some reports Michigan may have engaged in catfishing some of its football players. While some individuals are trying to avoid using the term “catfish” when they describe what happened to their players it appears that they did end up catfishing the players. Our favorite part of the story is a quote attributed to Brady Hoke who describes the female who was used to lure in the football players in this way: “she was hot, now; a very, very nice looking young lady”. The question of whether states other than Nevada will allow legalized sports gambling reached a key decision point on Tuesday as the US Department of Justice intervened in a case brought by the NCAA and the four major professional leagues against New Jersey disputing a 1992 law that prohibits betting on sports. The Garden State passed a law last year (signed by Governor Chris Christie) that would allow sports gambling in its casinos and race tracks statewide, but the MLB, NBA, NFL and NHL along with the NCAA, citing “significant harm” to their leagues, filed suit against the state questioning its constitutionality under federal law. Tuesday’s decision by the federal government to intervene on the side of the plaintiffs gives additional weight to the side that supports the ban. Although not unprecedented, it’s somewhat unlikely that the DOJ would stake its reputation in federal court on a case where it stands to come out on the losing side of the matter. As a result, if you live in New Jersey and are hankering for a legal method to place a wager on future Big East Tournament games involving league stalwarts South Florida and East Carolina, you may want to go ahead and book those annual March trips to Las Vegas for the foreseeable future. It doesn’t appear that you will have the option in New Jersey. 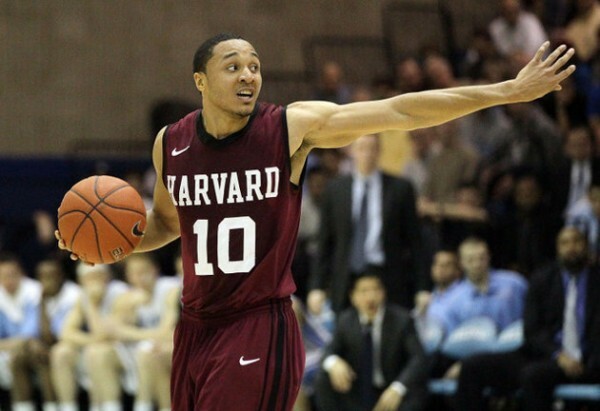 Harvard has been kind of under the radar this season after being the team du jour last season and part of that reason is because of the loss of Kyle Casey and Brandyn Curry, who withdrew for school a year after they were implicated in a wide-reaching cheating scandal. We had not heard what the two were doing as they waited to return to school next year, but The New York Times was able to catch up with them. Both of them returned to their hometown with Casey working for a nonprofit group and Curry selling life insurance. It will be interesting to see how the two adjust to rejoining a Harvard team that they were expected to lead this season, but has grown to play without them. We have reached the point of the season where John Gasaway publishes his weekly Tuesday Truths. Last week was technically the first week he did it, but there was so little data that I didn’t think it was worth linking to. For those of you who are not familiar with the column it looks at the difference in a team’s offensive and defensive points per possession to calculate an efficiency margin (more details here). In this week’s edition, Gasaway goes through the conference’s per his usual routine taking particular interest in Florida‘s dominance of the SEC. We will be completely honest that while we find the numbers interesting and somewhat enlightening we don’t find it to be quite the revelation that many of our colleagues seem to think the Tuesday Truths are. For a different type of weekly recap, Pat Forde offers his Forde Minutes, which is similar to his Forde Yard Dash that he writes when he is covering college football. While this lacks the number-crunching of Gasaway’s Tuesday Truths, it offers an equally comprehensive look at what is happening in college basketball. Of course, since it relies more on words than numbers it has to work off a central theme and this week’s theme is Brad Stevens and his emotional reaction (or lack of) following Butler’s thrilling win on Saturday night. Forde also offers an all-encompassing look at the player of the year and freshman of the year of races as well as who is hot and who is not. At the beginning of the season college basketball writers obsessed over the triangle of basketball power between Indiana, Louisville, and Kentucky. While that area may still be the strongest in the country (substituting Butler for Kentucky at the present time), Matt Norlander feels that the designation of best basketball state should go to the state of Kansas. In addition to boasting the always solid Jayhawks, the state also has two other potential powers in Kansas State and Wichita State. As Norlander points out part of the state’s strength is its impressive win percentage which is bolstered by only have three Division I teams in the state. As you can imagine there are a few states which have not taken too kindly to this analysis and you can see a sampling of their thoughts in the comment section. When word leaked nearly two weeks ago of a massive academic scandal at Harvard University, it was easy to overreact at the prospect of some of the nation’s brightest and most academically qualified students setting aside baseline expectations of academic honesty and integrity. After all, this is Harvard, long held as the putative gold standard of collegiate institutions, the dream school for practically every high school nerd with Ivy League aspirations. But when you dug into the details, which the New York Times provided one day after the allegations surfaced, none of it seemed particularly groundbreaking. Students enrolled in a 2012 spring Introduction to Congress class, which according to students had a reputation as one of the easiest classes at the school, colluded on take-home tests, questioned the fairness of graduate teaching assistants across sections and appealed to those assistants after reaching a consensus on unfamiliar exam terminology. There was a general understanding among enrollees that their actions were much less intentional than a product of a flawed conception of the school’s academic policies. All of which, at least as far as I could tell, undermined the severity of the transgressions. The only mildly surprising aspect of the story was the sheer number (125) of students implicated. It was a minor stain on Harvard’s sterling academic reputation, sure, but it certainly looked as if it would all dissipate in time. The defining storyline of the 2012-13 for the Crimson will be the academic scandal that enveloped Curry and Casey (Photo credit: Getty Images). The ongoing investigation has now crossed into the athletic realm, per Luke Winn of SI.Com, who reported early Tuesday morning that co-captains Kyle Casey and Brandyn Curry, two cornerstones of the Crimson’s 2012-13 Ivy League title defense efforts, are in jeopardy of missing their senior seasons. Casey decided to withdraw before Tuesday’s fall enrollment deadline. While he is yet to receive punishment for his alleged involvement in the widespread academic fraud, Casey ran the risk of losing his final year of eligibility by attending classes this fall if school administrators render an unfavorable verdict. Curry hasn’t made a final decision as of this writing, but is expected to follow Casey and forgo the upcoming academic year. In surrendering their eligibility this season, both players are expected to return for the 2013-14 season. A third men’s basketball player, along with a score of football players, could also face renounced or curtailed academic schedules this year. How’s about some better news to focus on with your coffee this Wednesday morning? Mike DeCourcy has us covered with his column discussing six important factors that could shape the upcoming season. Most of his points revolve around the significant loss of elite talent from last season, but keep in mind that going into 2011-12 many people thought that the return of the likes of Harrison Barnes, Jared Sullinger and Perry Jones would dominate discussion throughout the year. Although each player’s team made it to at least the Elite Eight, such a notion turned out to not be true. 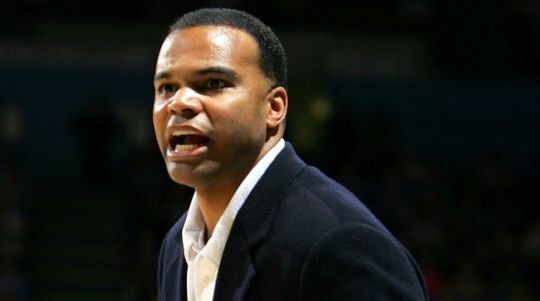 The talk last year mostly revolved around Kentucky’s precocious freshmen, Syracuse’s deep and athletic juggernaut, the resurgence of Indiana, and both Bill Self and Frank Haith’s coaching mastery. DeCourcy’s comment that “we’ll find something to enjoy” is absolutely spot on — predicting what that will be is the hard part. The NIT Season Tip-Off is one of the few remaining marquee preseason events that actually handles itself like a basketball tournament should, in that, it actually holds a tournament where winners advance and losers go home. And this is why it remains one of our favorites. The NCAA, who runs the event, announced yesterday that the top four seeds in this year’s Thanksgiving week event will be Michigan, Kansas State, Virginia, and Pittsburgh. Although John Beilein’s Wolverines will be the clear favorite in this event, there’s always some room for potential upsets — in a cursory review of the bracket, one intriguing subplot might be CJ McCollum’s Lehigh squad disposing of a revamped Pittsburgh team before heading to NYC to once again grab the national stage. It wouldn’t be a Morning Five this month without some mention of Billy Gillispie, so here’s the latest on the wild saga involving the Texas Tech head coach. On Tuesday two new pieces of information were released. First, an ambulance was called to Gillispie’s house on Monday of this week after a 911 call was made from the residence, but local hospitals had no record of Gillispie getting admitted anywhere. Next, in a text message sent to the AP Tuesday night, Gillispie himself stated that he plans on a treatment plan for high blood pressure “amongst other things” at the Mayo Clinic in Rochester, Minnesota. 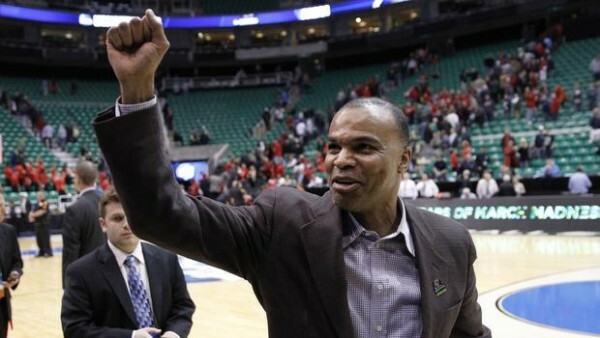 In the meantime as he deals with his health issues, Texas Tech has named associate head coach Chris Walker as the man in charge of the day-to-day operations of the team and told Gillispie in no uncertain terms that he is not to engage with the program in any way until he’s ready to sit down with the administration and discuss his future. If you’re a fan of the chaos theory of sports — that basically, the best possible scenario is the worst possible scenario — you’re going to love where the Lance Thomas case at Duke appears to be headed. According to the Raleigh News & Observer, not only is the New York City jeweler who extended Thomas nearly $70,000 in credit three years ago not talking to much of anyone, but in order for the NCAA to actually pursue what appears to be an obvious violation, they will have to do so by the end of 2013. So there are twin pressures building on the organization, but unless some degree of on-record information comes out through trial (highly unlikely), the NCAA will have to find a rat or some other documentation willing to assist them in this investigation. Chaos theorists loves this stuff, because it (mostly) leaves everyone outraged and upset.